We all know when we see something we have to have as well as something that may need to be changed or refined. Very seldom do you see both of these characteristics in a single morph. 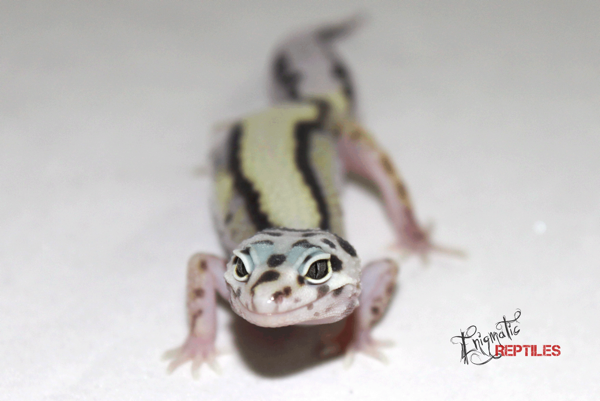 Bold Stripes have always been one of my favorite morphs due to their deep dark bold colors and their full length stripes. I saw the morph and knew there was something different I wanted to do with them. My goal was to produce more reduced pattern Bold Stripes with thicker darker stripes. I began this project by getting some of the best lines of Bold Stripes available. Marcia McGuinness (Golden Gate Geckos) and Kelli Hammack (HISS) had the two lines which I felt had what it would take to achieve my goal for this project. Marcia has some of the nicest colored Bold Stripes available and Kelli had some of the most complete stripes. These two lines were destined to be our founding stock for the project. We started the project very modestly and invested in a 1.3. However, having just moved into a new house weeks before the breeding season, we nearly scratched the project due to time constraints. While going through the projects we had considered doing, there was no way we could leave this project out. The project started out with a blow when only 2 of our females would breed and one would only produce 6 fertile eggs. Although production was low, the results were very positive. The first year of the project produced a wide array of colors and a slight variation in striping/pattern. 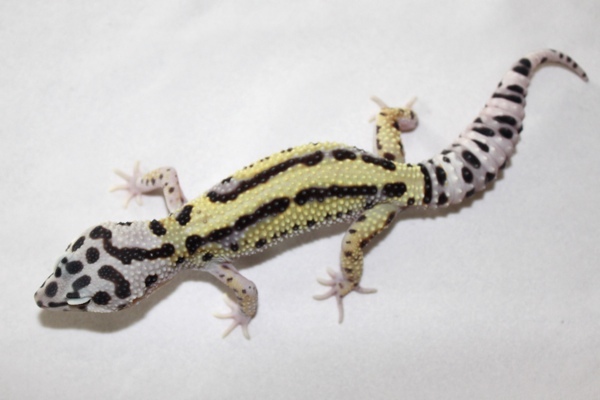 Since all of our breeders were two fully striped geckos we were a little confused about the stripe variance in the offspring. 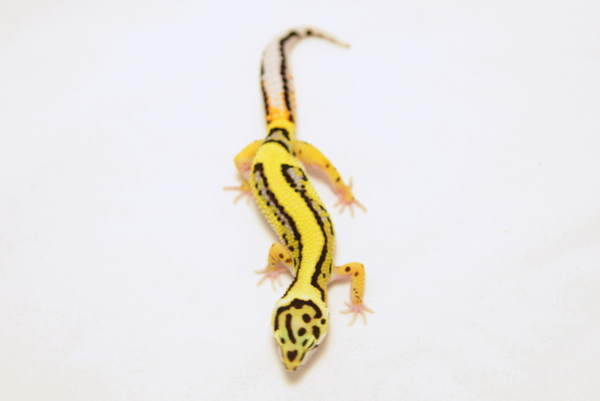 Having discussed the genetics of Bold Stripes with many breeders in the project I seemed to find one thing in common…no one really knew exactly how this trait is inherited. 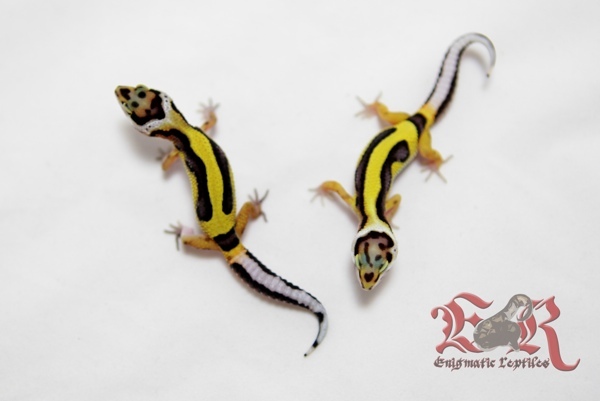 We believed the morph to be polygenetic in the beginning, but now after years of working with them we believe the Bold to be polygenetic and the Stripe to be polygenetic but to have incomplete dominant tendencies (jungle x jungle produced 25% banded/aberrant, 50% jungles and 25% striped and breeding stripe x jungle the offspring were roughly 50% stripes and 50% jungles). We were getting very consistent dark bolds but the pattern had variance from fully striped, jungles, and striped bodies with banded tails. 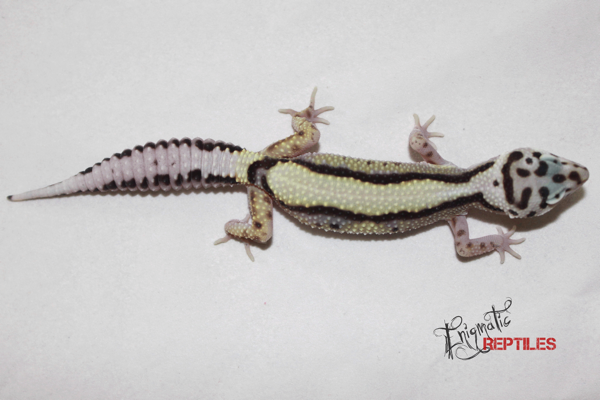 Not quite sure what was going on, we began to choose our holdbacks based on their stripes rather than color quality. 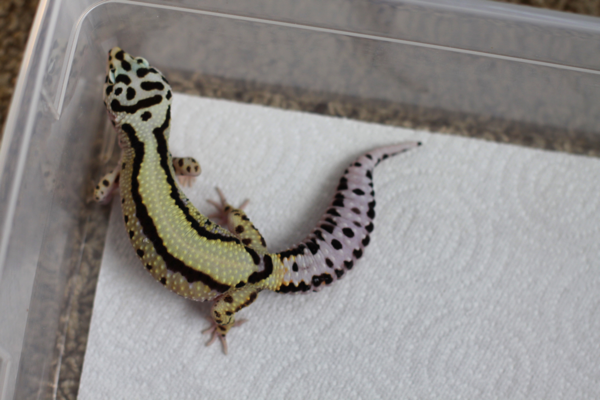 Selecting breeders based on stripes turned out to be the best decision for project development. Breeding the offspring (F2) to each other as well as back to their parents, we began to get the colors and patterns to work cohesively. Now happier with the progression of the stripes and color, we decided we wanted to add Mack Snow Bold Stripes into the mix to add diversity to the project as well as to try to achieve a black and white Bold Stripe (when Mack Snow is involved). Adding in the Mack Snow created new challenges due to the pattern variance affiliated with the Snow. The Mack Snow Bold Stripe we added to the project had one of the nicest full stripes we have ever seen on a Mack Snow Bold Stripe. We broke our project into two groups of 1.4 in order to focus on the Mack Snow Bold Stripes as well as our brighter Bold Stripes. Breeding the F3 babies to the Mack Snow Bold Stripe as well as the F2 holdbacks threw yet another curve ball. While crossing the F3 animals back to F2 we lost ALL brightness to the babies. However, the F3 x F3 produced some of the most intense Bold Stripes we have ever produced. Also, while crossing the Mack Snow Bold Stripe into the other group, we had a terrible run of odds and only hatched out 8 Mack Snow Bold Stripes out of 68 eggs. This was yet another season where this project had surprises and sketchy genetics. That being said, we did produce everything we would need to keep this project going strong and we gained more insight about how the Bold Stripes will interact with each other. There were also a few subtle cues which we believe to indicate inheritance potential of either color or stripe. One of the most prominent is the amount of color going up the neck at about 10g. We had huge plans to step up our Bold Stripe production and really get this project to take off for the 2012 season but with a baby on the way we cut back from 3.16 to a 2.6 for the project. This was a huge hit to production as well as project development (but well worth it). In addition to the decrease of breeders, we also had poor clutch production. Once again, low production certainly didn’t affect the quality and gave us everything we needed in order to build our breeders back up in preparation for the 2013 season. With what we have learned about the morph as well as the lineage we have developed, 2013 should be an amazing year for the Bold Stripes for us. While working on this project we found some things that are controversial and interesting. Knowing the lineage of Bold Stripes you find that Bandit and Halloween Mask (HM) head markings are closely related. 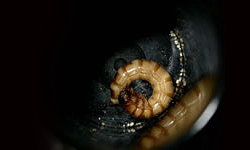 We have hatched countless Bold Stripes that had Bandit noses or Halloween Mask heads. Our theory is that they all derived from the same Bold project (from Ron Tremper) and are interlinked traits that can be line bred to enhance and emphasized, but are in essence one and the same (just varying amounts of effort towards one trait’s expression). That doesn’t mean a Bold Stripe will also produce Bandits and HM, but rather their phenotypes may occur while working with Bold Stripes. Another thing we began to notice with this project was the increase of size of our breeders. We began with the average 60-70g breeders and they have gradually developed into larger adults (NOT fat) to where our 2012 breeders have an average weight of 97g and are 9-11in in length. Having never introduced Giant genetics into the project it is simply an inadvertent selective breeding occurrence. Our future plans for this project are to continue to refine them for two distinct phenotypes. 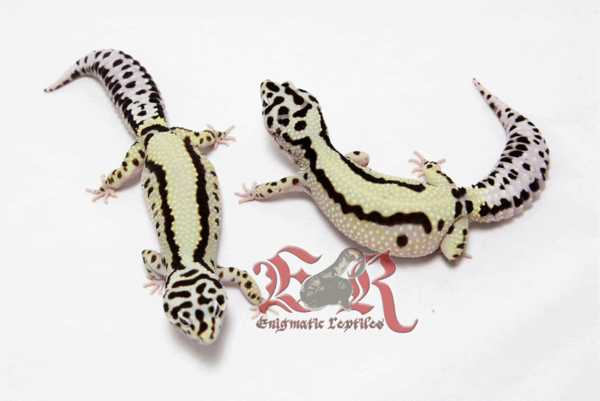 One is to produce as close to a black & white Bold Stripe as possible, both with and without the Mack Snow gene involved. 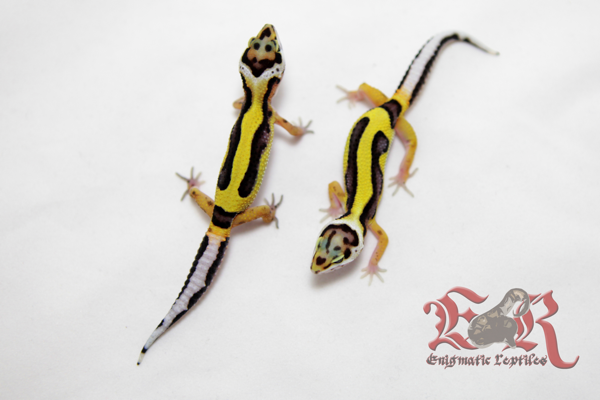 The other will be as bright as possible with only the two Bold Stripes as pattern on the body and tail. It’s hard to go wrong with this project and to work it into two different phenotypes only adds to the diversity of the morph. We also are adding our black and white Bold Stripes into a different project with some impressive results. There is nothing better for a project than contrast and pattern which is why Bold Stripes are a universal MUST HAVE morph. 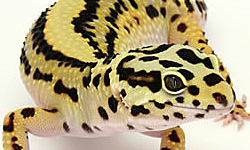 Travis has been keeping and breeding reptiles for about 18 years now. Having gotten out of the Marines only a few years ago he is still trying to rebuild his collection and the diversity he wants to work with. 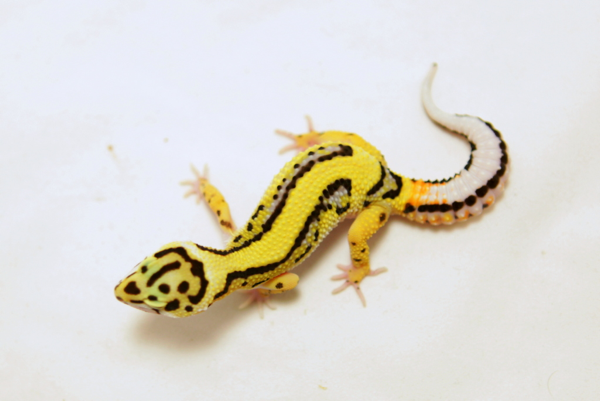 He currently works with Leopard Geckos, Ball Pythons, Mandarin Rat Snakes, African Fat Tails, and GTP. 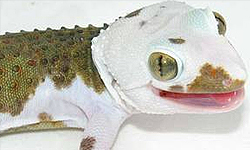 He will be adding at least one more gecko species and possibly another snake species very soon. If you can’t find him with his family, at work, or at the shooting range…you can most likely find him cleaning poo and talking to his animals. Very interesting, Travis! Bolds are definitely my favorite morph. 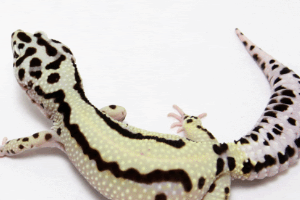 Yup, Bold-stripes are big in my gecko room, BUT . . . I like the broken tail pattern as much as I like the solid stripe pattern. Guess my love for the old “jungle” geks is showing. Good job on the article, Travis! 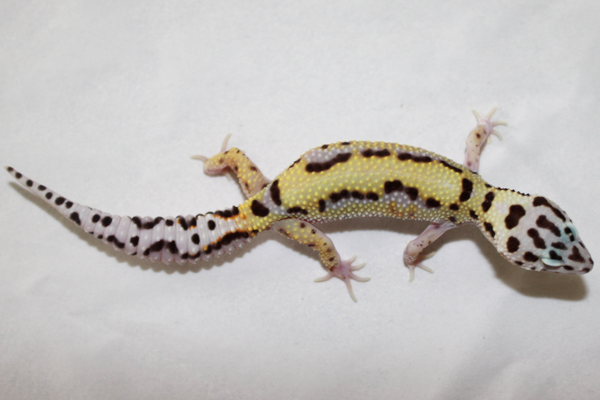 Nice Bolds with superb striping, too. I’m adding the Blood gene to the mix. Thanks Travis for your very informative article and great pics! Thanks for the interesting article. It’s given me a lot of very useful info. I am just starting a similar project, except using the T.U.G. 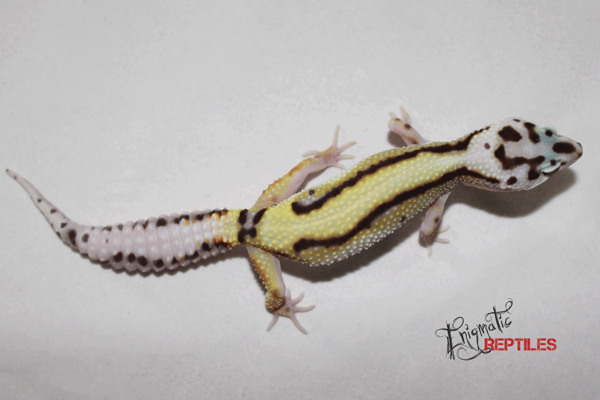 (The Urban Gecko) Snow line combined with Bold Stripes, but I am nowhere near the extent of refinement that you’ve achieved. You’ve produced some fantastic animals!